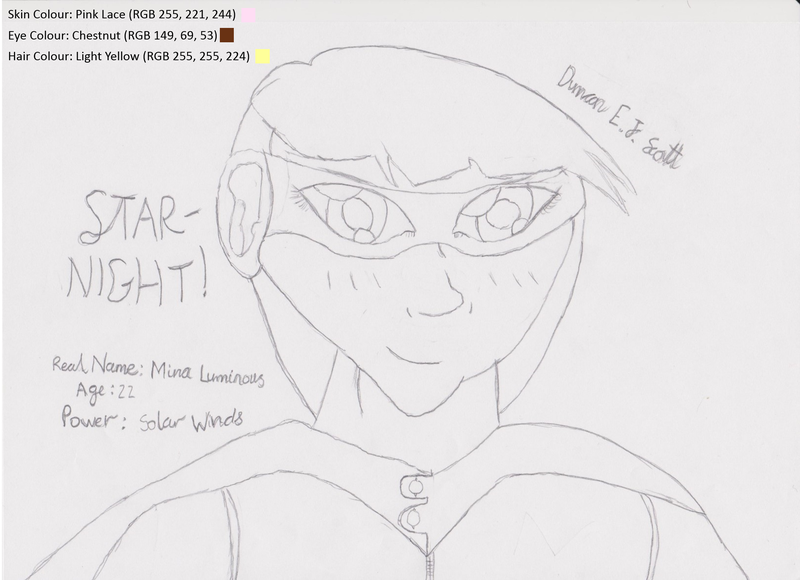 Star-Night is a superhero/anti-hero I’ve been working on and I’ve decided to share some very early concept art for suggestions on how to improve (also so you can laugh at my bad hand writing). She is a 22 year old transgender working as a mechanic in London who is struck by a powerful surge of a solar flare that is strangely absorbed into her body, giving her the power of Sun’s winds. Now she and her two more experienced partners (names in progress) have become the anti-heroes of London’s streets. It’s still in very early development and due to my final project for Uni, I won’t be able to on the scripts until mid June. I just wanted your thoughts on it as I respect your opinions very much. Also, I apologies to crashedpc /sarcasm if this post broke any guidelines.